- import/export WAV + MIDI, etc. Developed for Android, with a brief BlackBerry PlayBook incursion (that's where I got to know of it), then a free version for Windows, then for iOS, and now free for Mac and Windows portable / no-install. The dev. is an impressive "machine" so to speak, having perfected a music studio app among the bests of the bests, by himself, and on the OS that everybody dismissed for music making! Not tested for stealth by myself, but demo and easter-egg work perfectly on my Windows 8.1 tablet hybrid (Samsung XE500T, Atom Clover Trail, touch + keyboard). Works really well with keyboard and mouse, and quite well with touch screen (can't really play musical keyboard in real-time, but might be possible if I play a bit more with the settings). Really nice, just not sure how to thoroughly test for stealth by myself? And the dev. is incredible, with a nice community around: have a look if you're even remotely musician! I am Baas wrote: Desktop versions. Free, full version, but no support. Many many thanks for testing portability / stealth! And so fast, wow! Yes, didn't specify the "no support" as it was clear from the 1st Windows version long ago, sorry! In fact, the real app is the Android one, then ported to PlayBook, then to iOS: all these are paying apps (not much, but not free). - and that he didn't want to spend dev. time to support it as he clearly targeted portable devices. And then he finally gave us, anyway, the portable version that was requested/asked for! So it's more a case of "don't harass me if there's a glitch on Windows, it's 'as is' and free. I'll look into it, but no promises", kind of (In my words, not a real citation). Q: Should we/you/I submit it for the DB? I've accumulated all I could find in the last years as "portable music making", maybe, I should clean / test in WIn. 8 and complete posts in this category? There's not so much info on the "portable studio" theme, but there are some real gems. Recently for exemple, LMMS Portable (Portable Apps version) became official, haven't tested it yet, but beta was promising! Maybe I should port this part in another part of the forums? 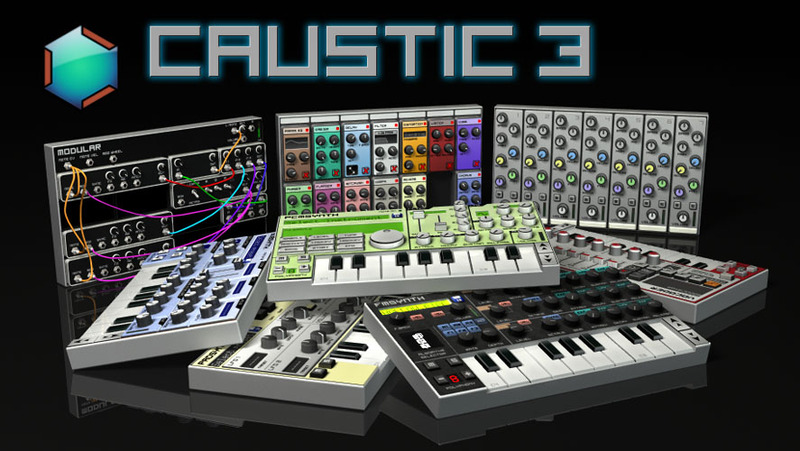 I've added Caustic to the database. Thank you for adding ! I have the Android version, too - so cool ! Have a nice day everybody, hopefully making music! We'll see updates in either place. I like to leave entry comments to notes about the program (either good or bad) but we appreciate update notices any way we can get them.